Vesconite Hilube engineered polymer vanes have replaced a competitor’s product in the air motors of one UK manufacturer’s torque wrenches. Vanes are essential to a torque-wrench rotary motor, as the necessary rotating element consists of a slotted rotor, fitted with free-sliding rectangular vanes, which create the rotational motion that drives the wrench when air passes over them. The assembler was also facing lower torque ratings and higher wear than was acceptable. This is when the assembler approached Vesconite Bearings to find out about its product range. It was favourably impressed that hard-wearing self-lubricating engineered polymer Vesconite Hilube vanes could be delivered fully machined in two weeks, and that this would cut down having to wait for essential vane components. 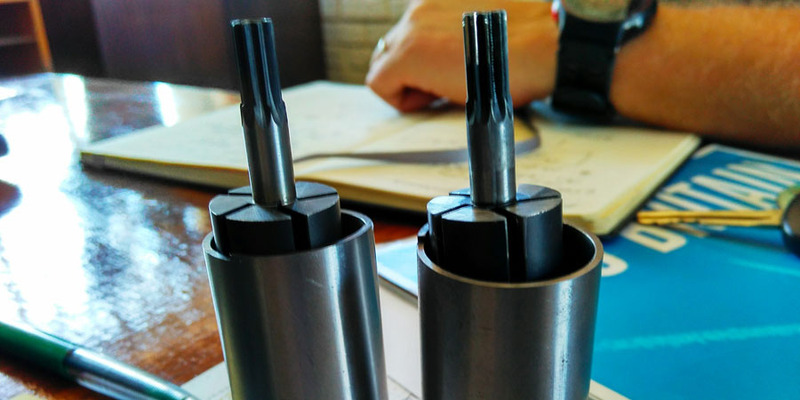 In addition, after testing, the torque rating of the Vesconite Hilube ranged from 1150N/m to 1250N/m, and was well above the 1000N/m torque settings that are required for testing. Some three years after the introduction of Vesconite Hilube vanes, the assembler is content with many of its important advantages. “The vanes also last longer,” says Vesconite Bearings technical sales representative Eddie Swanepoel. “After 30,000 cycles, the vanes don’t show any wear,” he notes. The torque wrenches are said to have accurate torque control as a result of their durable custom-designed air motor, which has all its components checked and tested to see that they can withstand the rigours of the torque motion. The wrenches can be used on bolting applications, such as wheel nuts, axle and suspension components, engine head bolts, pipeline flanges and pressure vessels. They can also be used on non-bolting applications, including valve operation and grinding, valving and devalving of gas bottles, and paper and steel mill roller adjustments.